Robin Hood really existed. True facts about his life are largely unknown, and perhaps more interesting than we are shown on TV or in Hollywood movies. 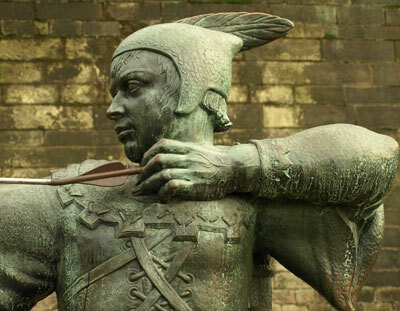 However, there is little doubt as to what Robin Hood did just robbed the rich and gave all to the poor. Join in and write your own page! It's easy to do. How? Simply click here to return to Facts about England.